The anxiety level at this institution is quite high. 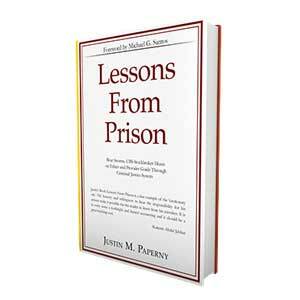 As I said, many federal prisoners are awaiting trial and/or sentencing which is a very stressful time. These prisoners have been denied or cannot make bond which further darkens their mood. In addition, I have learned that there are several individuals on our unit who are apparently trying to gather information about other prisoners that they can use to reduce their own sentences. It works like this. The Justice department rewards prisoners who provide information which assists the Government in the conviction of other individuals. The reward is a reduced sentence. Many individuals in facilities like Tallahassee try to befriend other inmates and get them to discuss their pending cases. The prisoner then contacts the Department of Justice and “snitches” on the other prisoner and asks for his reward. This is why attorneys always tell their clients never to discuss their case with anyone in prison. There is a guy (we will call him Gary) on our unit who was being held in a county lockup before he got here. His cellie apparently confided in him about a murder that he had participated in. Gary contacted the U.S. Attorney and passed the information along. The U.S Attorney met with Gary and Gary actually testified at his cellie’s murder trial. His cellie was convicted and Gary is now asking that his sentence on his drug crime be reduced for his assistance to the government. Gary, of course did not tell anyone about his activities because his fellow prisoners greatly dislike “snitches”. A snitch is an outcast in prison. Gary was feeling pretty good after the trial until an account of the murder trial was published in a local newspaper. The newspaper ended up in our unit. The paper described, in detail, part of Gary’s testimony in the case. Needless to say, no one talks to Gary anymore. He is fortunate that he is in with lower security prisoners because higher security prisoners could pose a potential physical threat to him. I hope to leave Tallahassee this week. I hope I do not sound too much like a complainer when I describe the conditions here. I just want everyone to know that prison is a very bad place. I accept the conditions I am experiencing as part of the punishment I deserve for committing my crime. God holds everyone accountable, sooner or later.